I don't come from a particularly arty family, but one long term memory I do have of art is of a portfolio collection of Redouté rose prints. These were always in the attic at home and I took them with me at some point after I moved out - who knows they may be in my attic now. I framed a couple of the prints as presents years ago and was always fond of the images and the thick high quality paper that it was printed on. 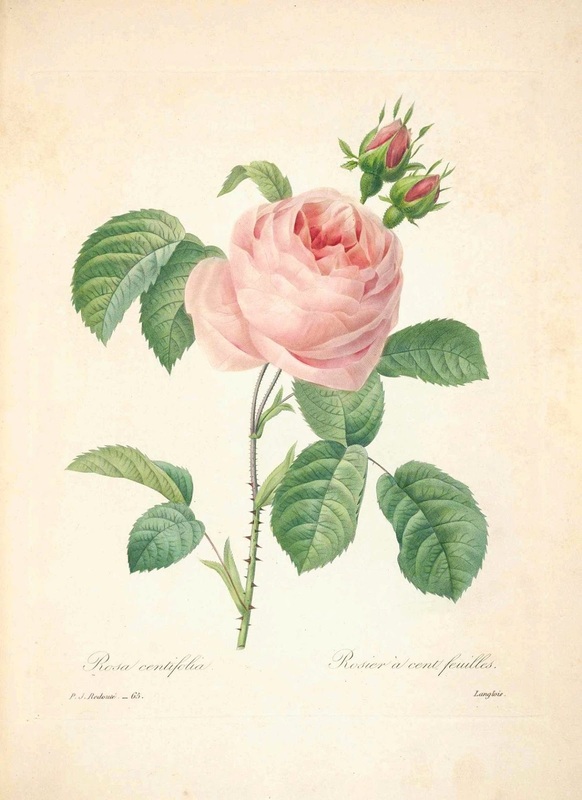 Pierre-Joseph Redouté (1759 -1840) was a Belgian painter and botanist, known for his watercolours of roses, lilies and other flowers at Malmaison. More HERE at Wikipedia. The Terminology of Perspective of Joseph Moxon. The Titanic 100 Years on.